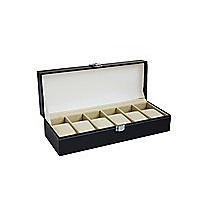 Keep your watches in a timeless state with this six slot jewellery box! 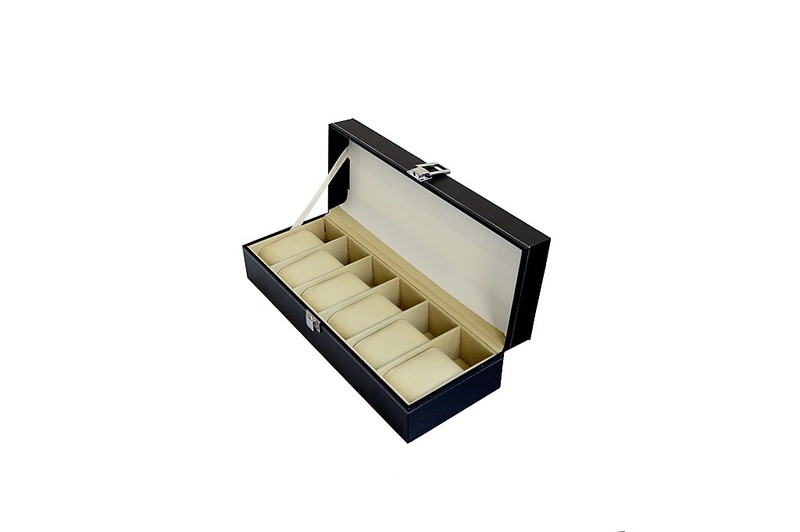 A must have for any man, on the go or at home, this leather case is lined with a soft fabric to protect your valuables, new or vintage, from scratches and the elements. 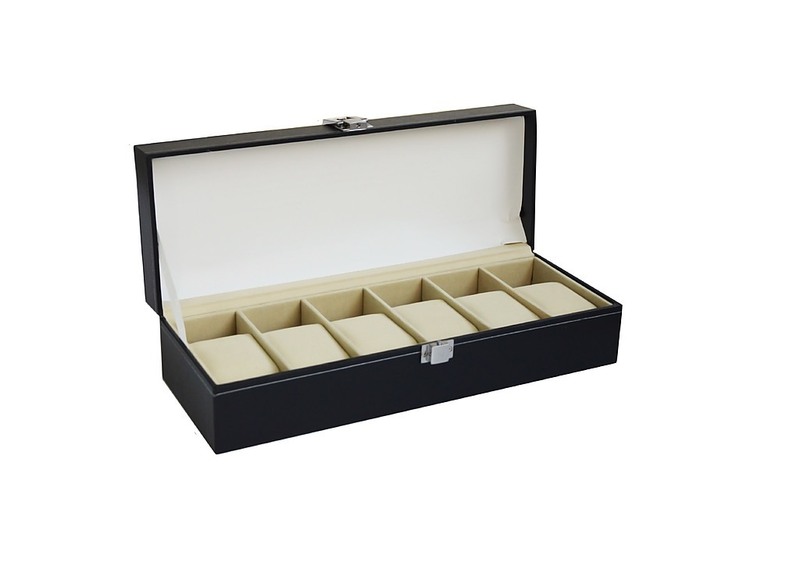 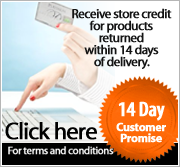 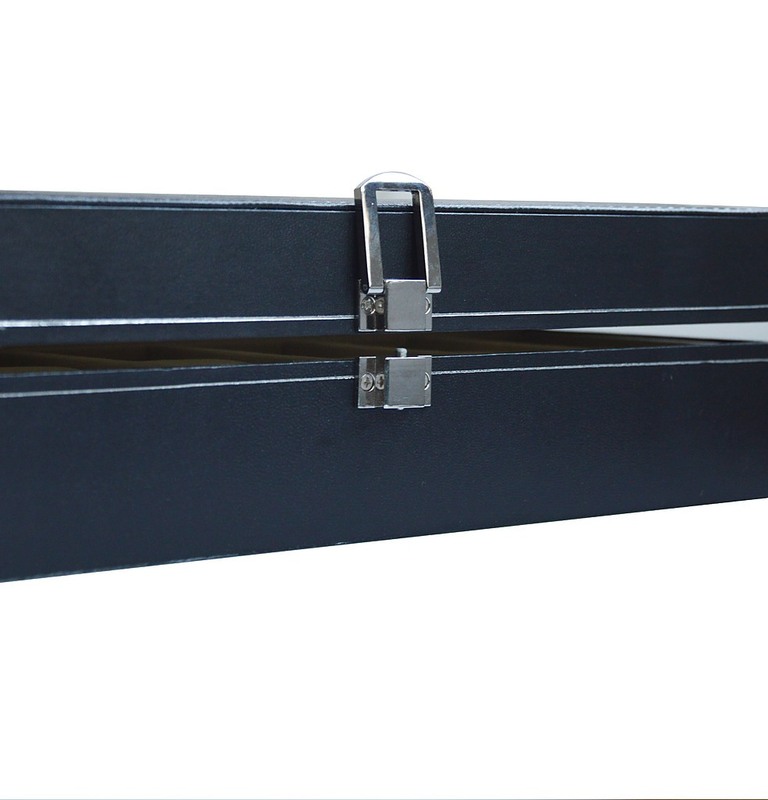 Each of its six compartments comes with a removable cushion for storing watches and other kinds of jewellery. 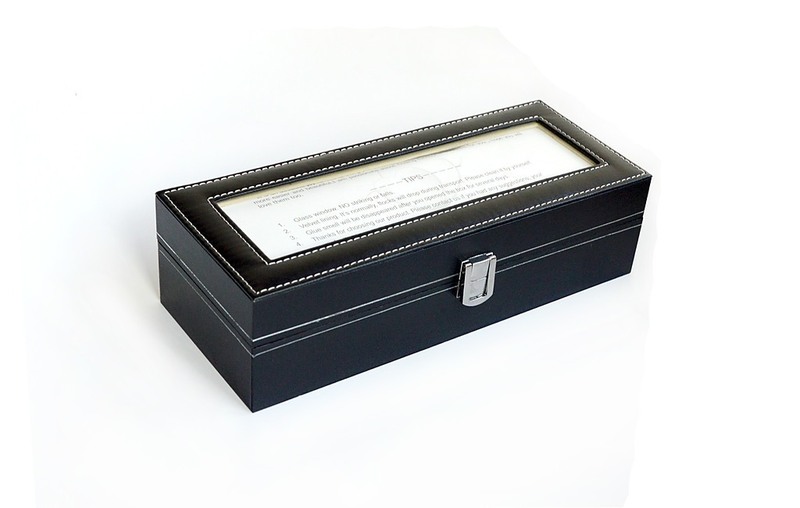 With a strong wooden frame at its core, this sleek kit has a clear glass cover made to showcase your items anytime, anywhere!